I have been debating for long time if I should really write about this book. From one side it is the most classic book on science and cooking (as you can tell by the title); it is like a religious blog reviewing the bible. From the other side I think that it is such an important book that even if there is only one aspiring cook out there that does not know about it I should tell him/her. 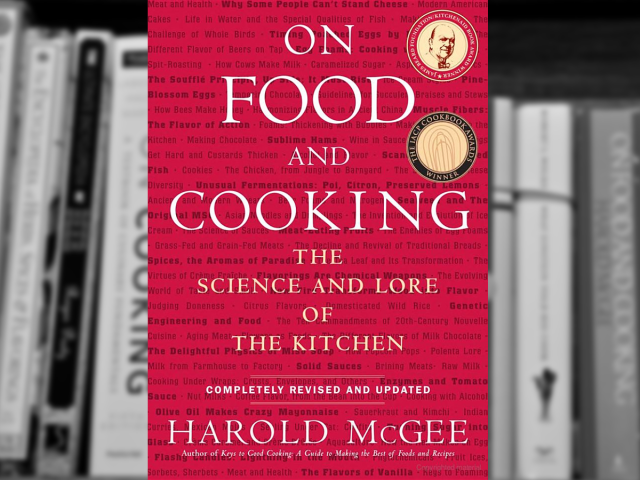 Harold McGee is the person who connected food and cooking with science for the open audience. Until then science of cooking was just for the food engineers and the people who worked in the food industry. And by that I do mean industry, like commercial and branded food. In his book Harold McGee gives a very comprehensive linkage between the science of food, its history and its modern form. Reading that book is like opening a whole new dimension of food that was invisible to us. The Rosetta stone of the culinary world. 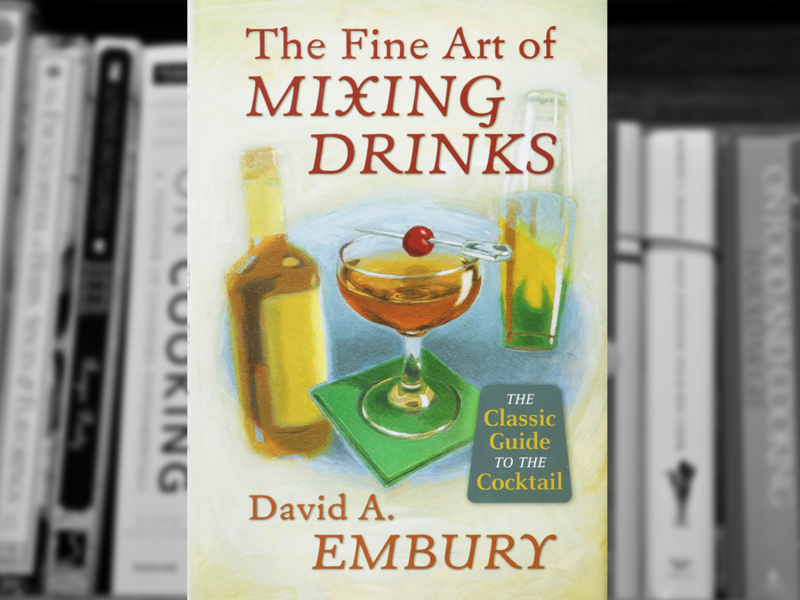 The first edition of the book came out in 1984, when the term “Molecular Gastronomy” hadn’t even been conceived yet. 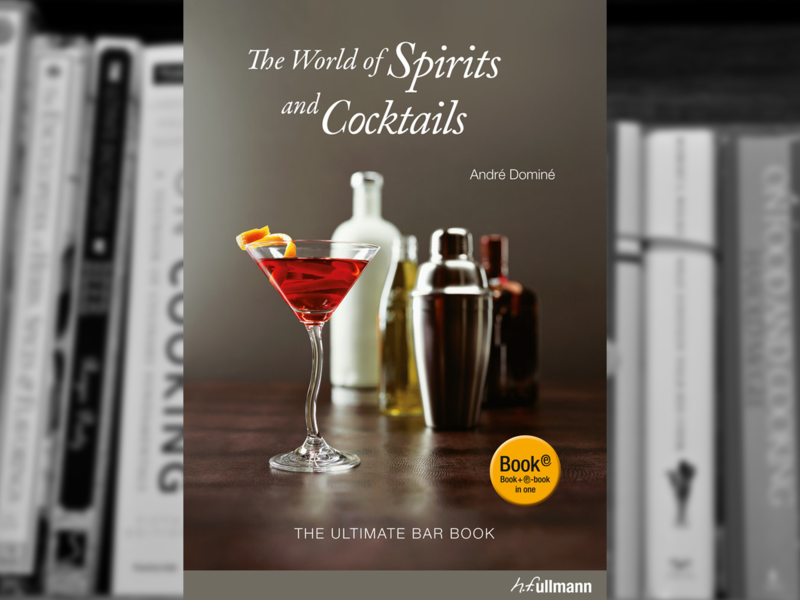 It is a book that combines the two basic elements of food, History and Science with the food itself. To give you an example; meringue. Historically it was known that whipping egg whites in a copper bowl makes a much more stable meringue. Nobody knew why, but it was a good trick that started centuries ago and just propagated as a voodoo spell until the modern era. Scientists learned the reason, when they figured out the egg protein structure, but never bothered telling to the chefs. Harold McGee did. And not only to the chefs, but to any aspiring home cook, who whips meringue once a month and does not have the luxury of time to optimize his techniques. He explains the reason in simple science and nice illustrations. This is the second important aspect of this book. Although it is scientifically sound and explains everything in a great detail, the language and the science is so simple explained that anybody can understand. It is so amazingly written that absorbs you immediately. It does have the chemical formulas in certain cases, but even if you cannot understand them you have to options: 1) Ignore them and lose pretty much nothing of the science or 2) refer to the extensive appendix at the end of the book and get a comprehensive course in organic chemistry. I personally love the historic facts that are also included in the book and are truly mind-blowing. So important to know how far we have come as a species when it comes to food. I was amazed with the emphasis the US Air Force was giving for example in linking diet with flatulence for their pilots. Imagine that in high altitude the pressure is significantly smaller so all gasses are expanding. That can just bring to perspective the discomfort of air jet pilots. Another great feature of the book is that it is a reference book. Has no start, middle or ending. You just read whatever interests you. 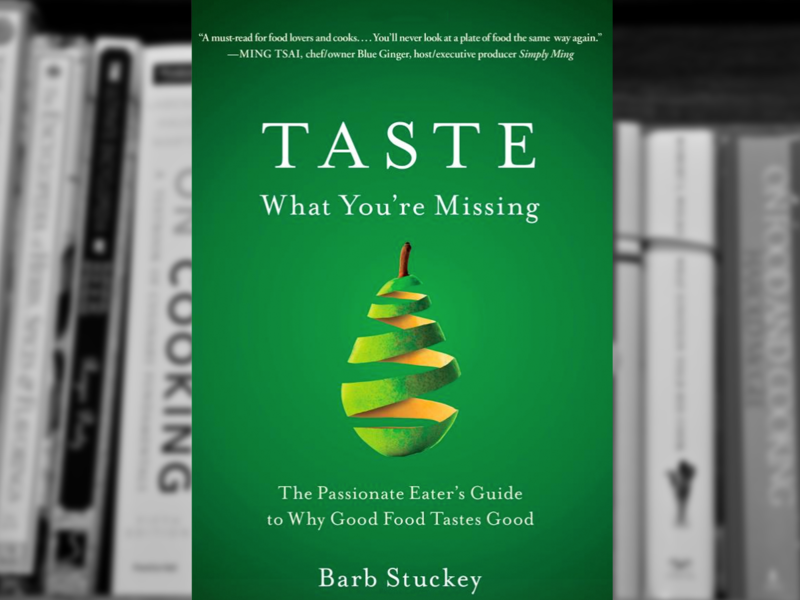 The book is divided into sections that focus on the ingredients, providing the structure for the author to speculate on the history of foods, the molecular characteristics that are responsible for the of food’s flavor and texture and for the advance reader it has section that go deeper into the science behind food. The text is illustrated by simple and clear charts, graphs, pictures, and sidebar boxes with quotes from sources such as Brillat-Savarin and Plutarch. The book gives general guidelines that show you how to cook ingredients, the scientific reasons behind them, and at occasions it includes a few historical recipes, but avoids to give you modern recipes, since it is a book solely for the science of the food and not a cookbook. Needless to say that this book started a revolution in the culinary world. 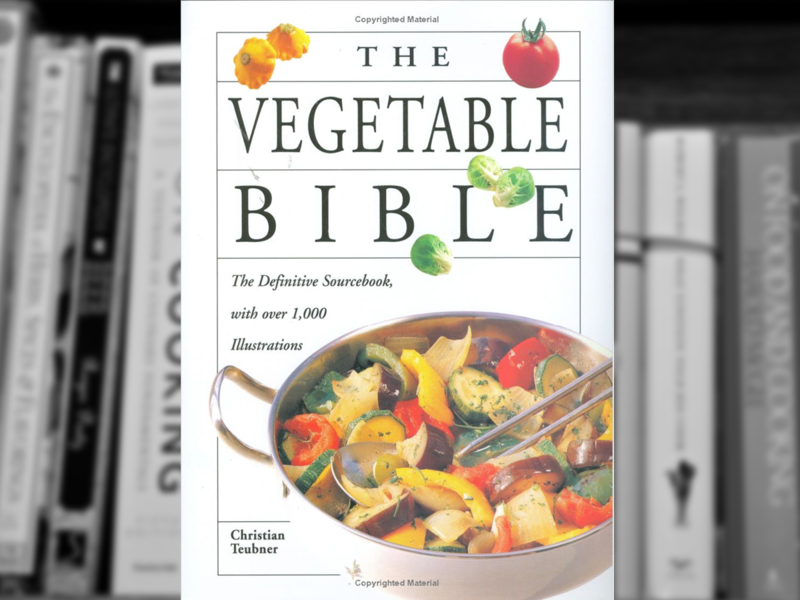 It is a book that brought to the large audience the secrets behind cooking. All this science was consumed in improving commercial food products. Now it is a valuable tool to the disposal of anyone that is interested to innovate food. It is not a surprise that right after the publication of the book the term Molecular Gastronomy was coined. Chefs now knew what to do to achieve certain textures, flavors and styles. This was a revolution no matter how you see it. It was the prelude to a new innovative cooking style and the preamp to the masterpiece Modernist Cuisine. Before I finish talking about the book I should mention that there are two editions for the book, the one from 1984 that has been published many times since and the newer edition from 2009. As the author says more than 1/3 of the book has been replaced in the new version. Since 1984 with all the cooking channels the internet and the openness of the culinary world to the public, there is no need to explain anymore fundamental terms, so a portion of the material has been removed and substituted with brand new materials. I have both versions of the book and it is literally two different books. No question. I could not have more highly recommended this book.